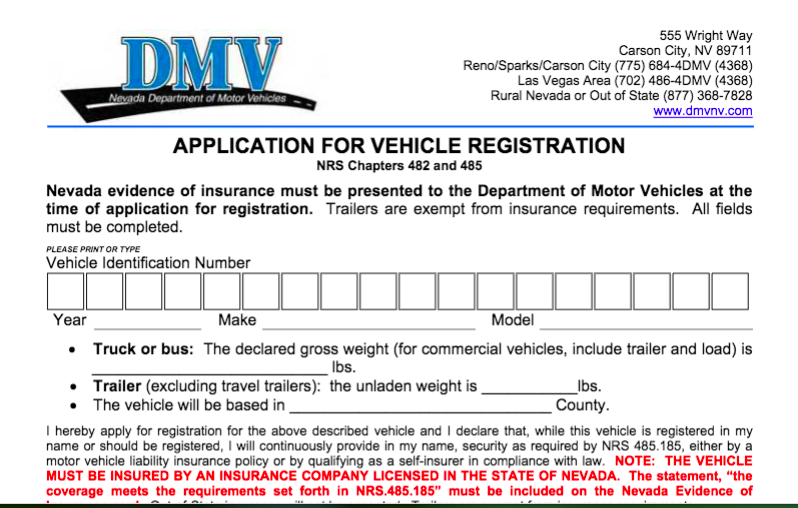 Driving any type of motor vehicle in Las Vegas or other areas within the state of Nevada without registration may result in the issuance of a fine. Drivers must keep up with a registration of a motor vehicle that will be used on the roadways in the state. Driving with an expired registration, or driving an unregistered vehicle, may also result in the issuance of a fine.